From Doxiadis’ “Emergence and Growth of an Urban Region” Volume 2, this map utilized 1960s Census data. 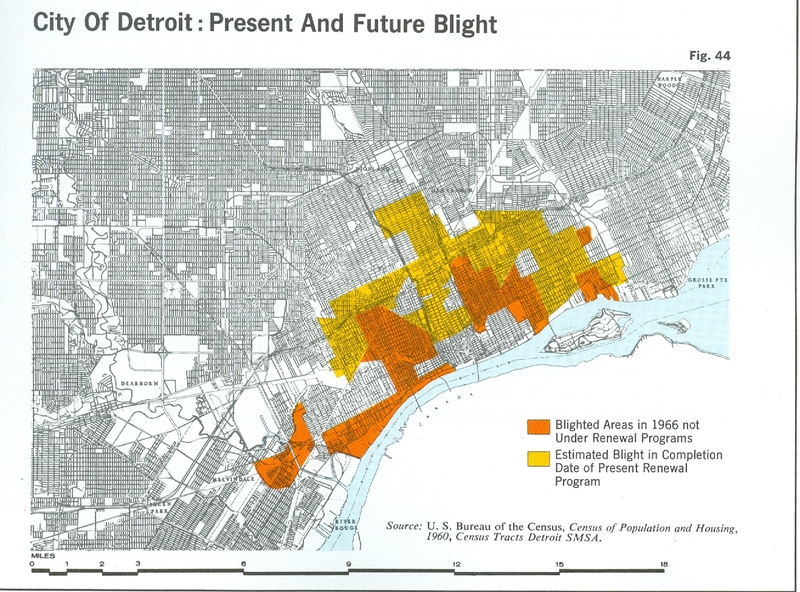 A critical connection should be drawn between the above mapped areas and areas that were cataloged as blight in the 2009 Detroit Residential Property Survey (DRPS) and the 2013 Motor City Mapping (MCM). Now we see many of these 1960 blighted areas, labeled blight and cleared, in the midst of redevelopment. Blight has a long trajectory that we cannot forget started somewhere. 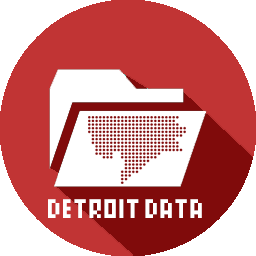 People have been mapping blight in Detroit for decades and blight has affected the development of the city for just as long.